Gustafsson started training MMA in 2006, and before that he trained in boxing which he started when he was around 10 years old. He won the national championship (youth-junior level) in 2003, at the age of 16. In 2008-2009 he made a quick return to boxing, winning some amateur tournaments in Sweden and defeating the Swedish heavyweight boxing champion in an amateur fight. He was set to compete in the national championship event the following year, 2010, for which he was a big favorite to win. However, his newly awakened boxing career ended when he signed with the UFC in September 2009. 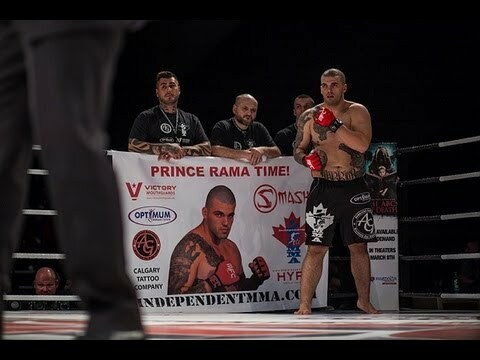 He also competed in the martial arts form of shootfighting, before starting his professional MMA career, with a Shoot record of 5-1, with 4 wins by KO/TKO and 1 by decision, his only loss came by split decision against Mats Nilsson in the Kaisho Battle 2007 event. He also competed in a smaller amount of submission wrestling and submission grappling matches, in which he was also undefeated. Before signing with the UFC, Gustafsson fought mostly in smaller promotions in Sweden and other parts of Europe. By 2009, he had racked up a perfect pro-record of 8–0, with 6 wins coming by the way of KO/TKO, 1 by submission and 1 by decision. The most notable victories in his first 8 fights came against German prospect Florian Muller, who he defeated by TKO in the second round on 13 March 2008. Later that year, after another TKO victory against Matteo Minonzio, he replaced his former opponent Florian Muller on less than 24 hours notice against Krzysztof Kulak, who at the time was a top prospect in Poland, on 13 September 2008, at KSW Extra. He won the fight knocking Kulak down several times, earning the unanimous decision victory. In his last fight before he was signed to the UFC, Gustafsson fought European veteran Vladimir Shemarov on 30 May 2009 at Superior Challenge 3. He won the fight by knockout in the first round. He made his UFC debut against Jared Hamman on 14 November 2009, at UFC 105. Gustafsson dropped Hamman with a straight right punch and won the fight via KO at 0:41 in the first round. His next fight was against Phil Davis on 10 April 2010, at UFC 112. Gustafsson lost the fight via submission due to an anaconda choke. Prior to this, Gustafsson showed good wrestlingand takedown defense which Joe Rogan praised him for. After being softened up by brutal elbows, Gustafsson was sprawled by Davis and was forced to tap out at 4:55 of the first round. Gustafsson faced MMA and kickboxing veteran Cyrille Diabaté at UFC 120. In advance of this bout, Gustafsson traveled to San Diego, California, to train with Alliance MMA for a month. At the training camp, Gustafsson trained with notable UFC fighters like his former opponent Phil Davis, Dominick Cruz, Brandon Vera, Joey Beltran and Travis Browne. He also took grapplingtips from Davis and worked to improve his strength and speed. After dominating the first round in stand up as well as on the ground, dropping Diabate twice, Gustafsson defeated Diabate via submission (rear-naked choke) in the second round. In post-fight interviews Gustafsson said that the main reason for his success against Diabate was the time that he spent at Alliance MMA in the training camp. Gustafsson won his second straight UFC fight on 27 February 2011, at UFC 127 where he defeated James Te-Huna in the first round by submission due to a rear-naked choke. Gustafsson was expected to face Vladimir Matyushenko on 6 August 2011, at UFC 133. But Matyushenko pulled out of the fight due to injury and was replaced by Matt Hamill. In the 2nd round, Gustafsson dropped Hamill with a straight punch followed by two uppercuts, finishing Hamill by TKO, with punches and elbows from the mount. Hamill announced his retirement shortly after the fight. Gustafsson eventually faced Matyushenko on 30 December 2011, at UFC 141. He defeated Matyushenko by TKO in the first round after dropping him with a jab and finishing with punches on the ground. After the win UFCPresident Dana White said that a first round finish of Matyushenko, who he referred to as a gatekeeper at the time, made it clear that Gustafsson was a force to be reckoned with and that he would get a step up in competition for his next fight. 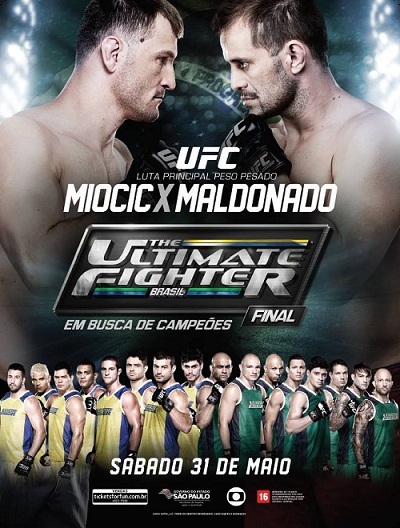 Gustafsson was expected to face Antônio Rogério Nogueira on 14 April 2012, at UFC on Fuel TV 2 in Stockholm, Sweden, but Nogueira pulled out of the fight due to an injury and was replaced by Thiago Silva. Gustafsson was able to effectively use his reach and jab to largely outstrike Silva, scoring points by knocking him down early in the first round as well as scoring a takedown in the second. His dominant performance earned him the unanimous decision victory. Just like after his previous win, it was again clear that Gustafsson was in need of another step up in competition, and UFC President Dana White said that his next fight would be against someone in the top of the rankings. Gustafsson faced Maurício Rua on 8 December 2012, at UFC on Fox 5. He was able to use his reach and powerful striking, as well as his wrestling, from which he was able to land six takedowns, to defeat Rua via unanimous decision (30–27, 30–27, and 30–26). It was said that a victory over ‘Shogun’ Rua would likely ensure Gustafsson of a shot at the title in his next fight, but since he didn’t want to sit out of competition for a long time to wait for his chance, Gustafsson said he was fine with having another fight before that could happen. 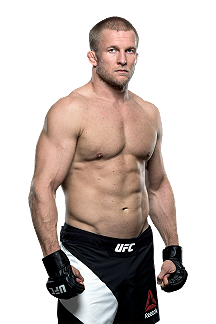 Gustafsson was expected to face former Strikeforce Light Heavyweight Champion Gegard Mousasi on 6 April 2013, at UFC on Fuel TV 9 and it was said that a victory would ensure him of a shot at the title. However, on 30 March it was revealed that Gustafsson had suffered a cut during a sparring session. 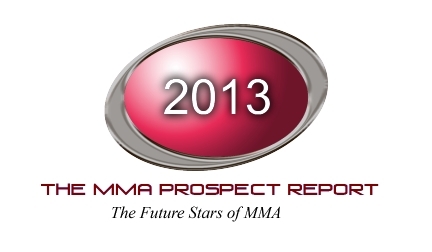 On 2 April it was announced by Swedish MMA Federation that he was not cleared to compete. Gustafsson was replaced by UFC newcomer Ilir Latifi, one of his main training partners. Gustafsson earned a title shot and faced UFC Light Heavyweight Champion Jon Jones on 21 September 2013 in the main event at UFC 165. Despite being looked at as a big underdog coming into this fight, Gustafsson challenged Jones unlike any previous contender, taking the champion down for the first time in his career, picking him apart on the feet and cutting Jones badly above the right eye early in the fight. Jones later rallied, and dominated the final rounds and in the end out landed Gustafsson in strikes, 137-114. Gustafsson ultimately lost via unanimous decision.After the fight, before being sent to hospital, Jones said Gustafsson had given him the hardest fight of his career. Gustafsson and Jones were awarded the “Fight of the Night” bonus award for their performances. 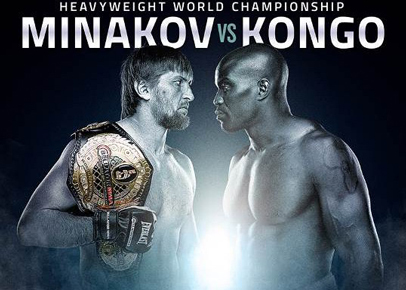 The fight was critically acclaimed by mixed martial arts media outlets and fighters, with many considering it to be the greatest light heavyweight title fight of all time. 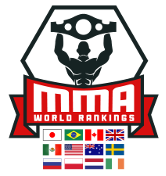 The fight was later named 2013 Fight of the Year by World MMA Awards along with various other major MMA media outlets, Gustafsson also won the prize for 2013 International Fighter of the Year. It was indicated by Dana White that he was interested in an immediate Jones vs. Gustafsson rematch, without confirming anything. Gustafsson ended up not getting the rematch after it was confirmed that Jones would be defending his belt next against Glover Teixeira. It was said that the next opponent for Gustafsson was not confirmed yet, but that the fight would take place in Sweden or England in early 2014. It was also said that Gustafsson, if victorious in his next fight, would get another shot at the title. When asked about all this, Gustafsson said that his main goal was to get another shot at the title and that he’s happy to fight anybody to get there, he also said that as long as Jon Jones still is the champion, he will be the main target. At a post-fight press conference in Manchester, Dana White said that Gustafsson would be facing Antônio Rogério Nogueira on 8 March 2014, at UFC Fight Night 37. 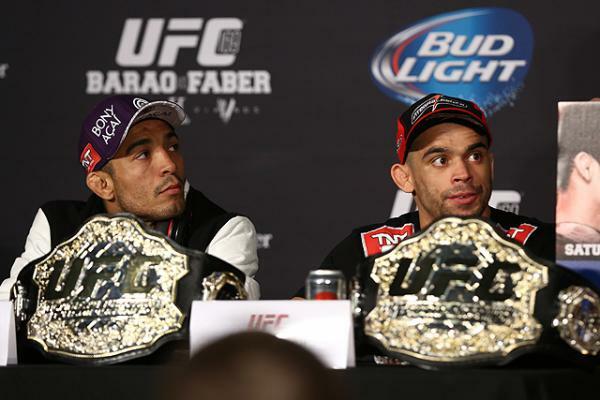 He also stated that if both he and Jones won their next bouts, then the rematch would be set for the title. However, just 5 days after the fight was announced news came that Nogueira had to withdraw from the bout due to an injury. Later, reports came that said that Nogueira had never agreed to take the fight against Gustafsson at all. 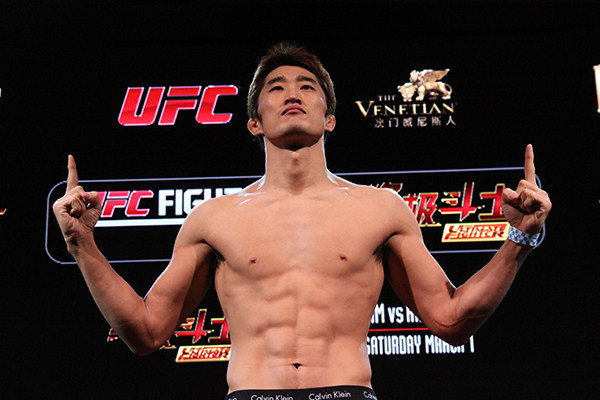 Instead, he faced undefeated striker Jimi Manuwa at the same event. 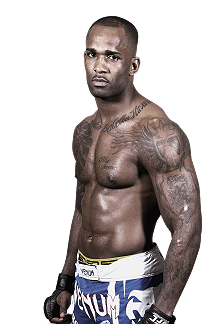 He won the fight by TKO after dropping Manuwa with a knee followed by a flurry of punches in the clinch, in the second round, handing Manuwa the first loss of his career. His performance earned him both Fight of the Night and Performance of the Night awards. On 27 April 2014, UFC President Dana White confirmed that a rematch with the champion Jon Jones would be next for Gustafsson, and stated the possibility of the match taking place in a stadium in Sweden on pay-per-view. 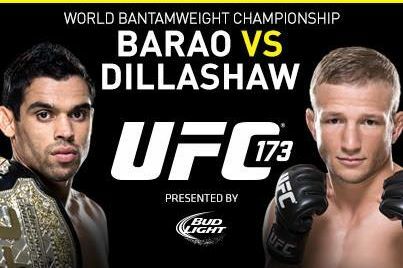 On 24 May 2014, it was indicated that the rematch would take place in Las Vegas on 30 August 2014, at UFC 177. The statement, and the time and venue, wasn’t official however, since Gustafsson was the only one who still had agreed to take the fight. On 2 June, the fight was still on hold, and UFC President Dana White explained the situation as: “Jones doesn’t want to fight Gustafsson”. On 5 June 2014, the UFC confirmed that the Jones/Gustafsson rematch would take place on 27 September 2014, at UFC 178. At first, the fight was expected to take place in Toronto, but the venue was later changed to Las Vegas.However, Gustafsson was forced to pull out of the bout due to a torn meniscus and was replaced by fellow top contender Daniel Cormier. At first, a fight against Anthony Johnson was reported to be in the makings, but the bout would later be scratched by the UFC. Gustafsson was briefly linked to a potential bout with Rashad Evans on 24 January 2015, at UFC on Fox 14. Subsequently, Evans announced he would not be ready during that time line as he was still rehabilitating a knee injury.Gustafsson instead faced Anthony Johnson at the event with the winner guaranteed a title shot against Jon Jones. Gustafsson lost the fight via TKO in the first round, marking the first time in his career that he had been stopped due to strikes. Gustafsson was expected to face Glover Teixeira on 20 June 2015, at UFC Fight Night 69. However, it was announced that Gustafsson had been removed from the card due to an injury in his back. In June 2015, news then came that Gustafsson was about to be booked against Daniel Cormier who recently had won the vacant title. 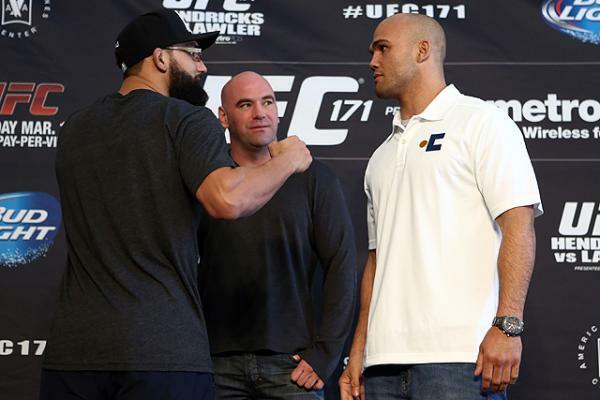 At first, the matchup seemed to be set for 5 September 2015, at UFC 191. However, Cormier wasn’t able to make it due to an injury and the fight was delayed. The title fight against Cormier took place on 3 October 2015, at UFC 192. It was a back and forth fight that saw Gustafsson land two takedowns in round 2 and also drop Cormier by a knee and following punches in the end of round 3. He lost the fight by split decision. Their performance earned both fighters the Fight of the Night awards. In interviews after the fight, Cormier told reporters that the fight with Gustafsson had been the hardest of his career. As a result of the injuries Gustafsson sustained during the fight, a preliminary medical suspension was set for him until April. 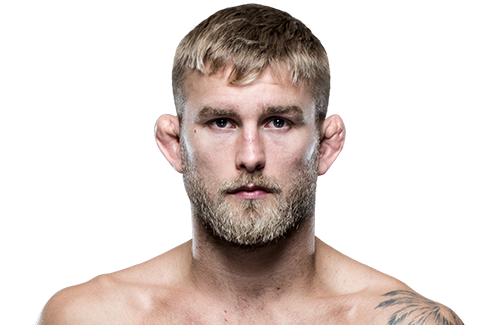 Gustafsson next fought Jan Błachowicz on 3 September 2016, at UFC Fight Night 93. He won the fight by unanimous decision (30–27, 30–27, and 30–27). 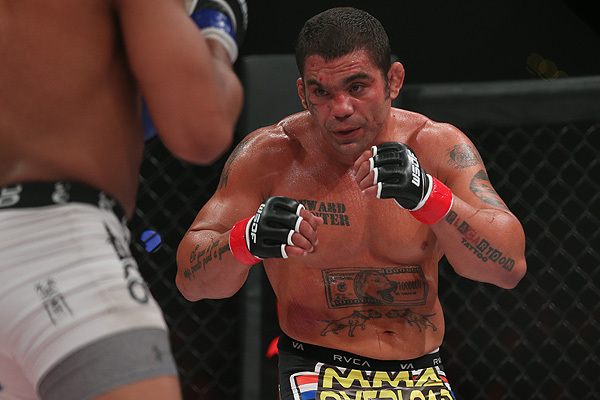 A pairing with Antônio Rogério Nogueira was scheduled for a third time and was expected to take place on 19 November 2016, at UFC Fight Night 100. However just days after the fight was announced, Gustafsson pulled out of the bout citing an injury. In turn, he was replaced by Ryan Bader. It was later revealed that he had sustained a back injury, which would sideline him from training and competition indefinitely. 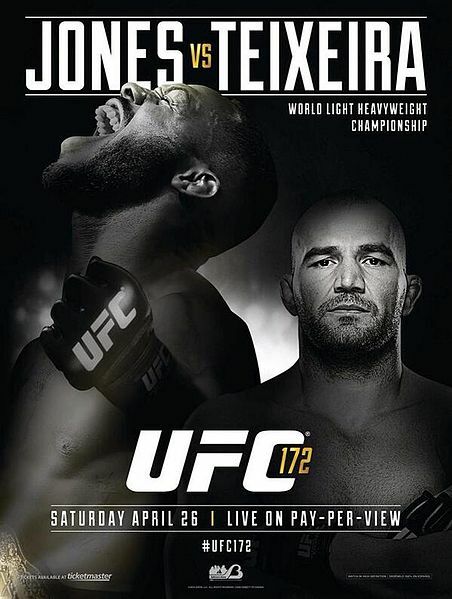 A rescheduled fight with Glover Teixeira took place on 28 May 2017, in the main event at UFC Fight Night 109. After dominating the fight for four rounds, Gustafsson won the fight via knockout early in the fifth round. Their performance earned both fighters the Fight of the Night awards. Gustafsson was first targeted to face Luke Rockhold, but Rockhold would have to pull out of the fight, citing an injury. 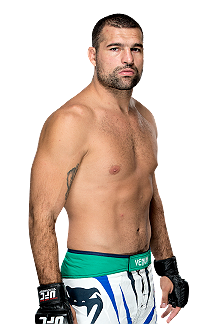 Gustafsson was instead scheduled to face Volkan Oezdemir on 4 August 2018 at UFC 227. 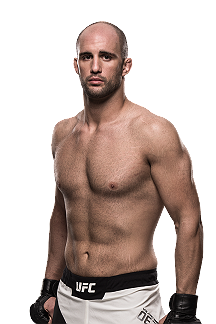 However, on 19 July 2018 it was reported that Oezdemir was removed from the bout due to a broken nose. It was reported that on 22 July 2018, Gustafsson also pulled out from the bout due to injury. It was later revealed that Gustafsson had suffered a hamstring injury, and that the UFC was hoping for him to be back before the end of the year. On 10 October, it was announced that Gustafsson would have a rematch with the returning Jon Jones on 29 December 2018 at UFC 232 for the vacant UFC Light Heavyweight Championship. He lost the fight via technical knockout in round three. Gustafsson suffered an injured groin during the fight, as a result of a knee from Jones.